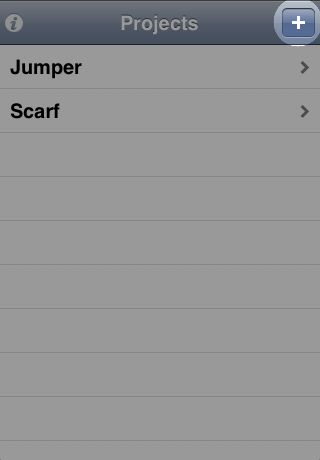 The project list is where you start out in Knit Counter. The name pretty much says it all; it's a list of all the projects you've set up. New projects are created and existing projects viewed from the project list. 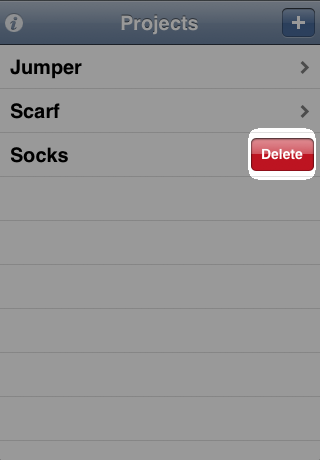 There's even a quick way to delete projects. 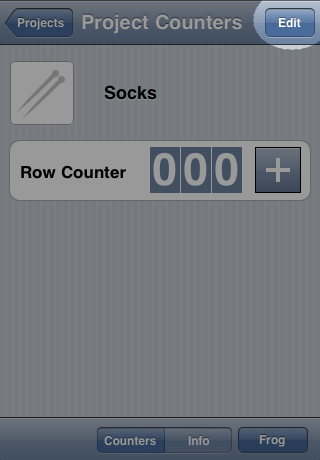 To create a new project, tap the plus button at the top right of the screen. 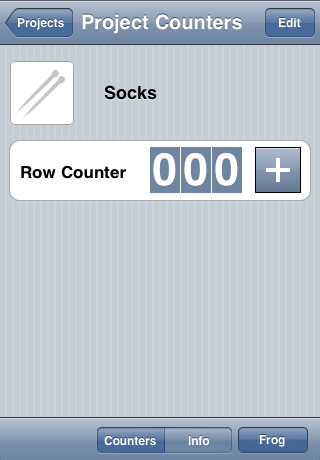 Enter the project's name and tap the "Save" button at the top right of the screen. You'll be taken to the project screen. To view an existing project, tap its name in the list. 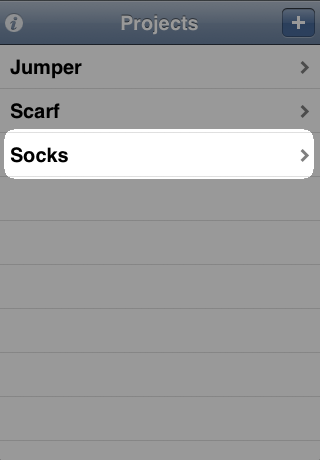 To edit the project you've selected, tap the "Edit" button at the top right of the screen. 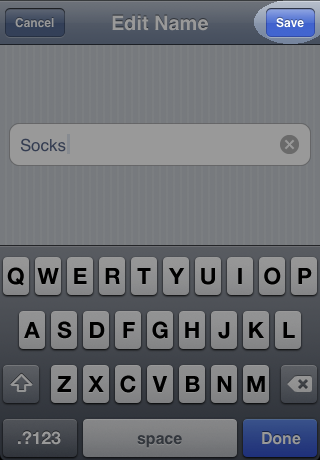 When you've finished editing, tap the "Done" button at the top right of the screen to exit editing mode. 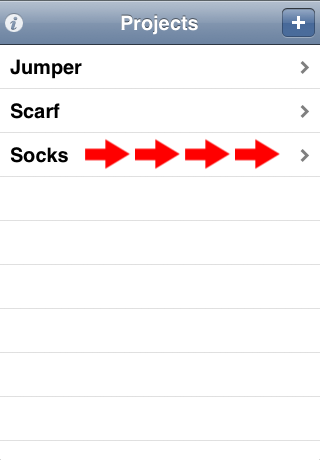 Projects can be deleted from the Project List by swiping across the project's name from left to right, like crossing off an item on a list. 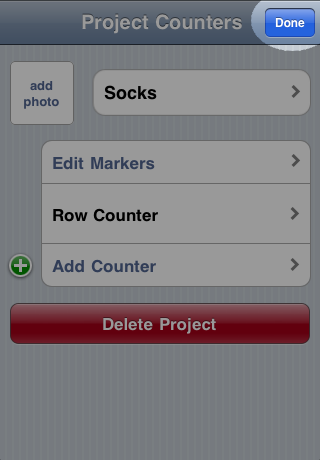 A "Delete" button will appear on the right of the project name; tap it to confirm that you want to delete the project.